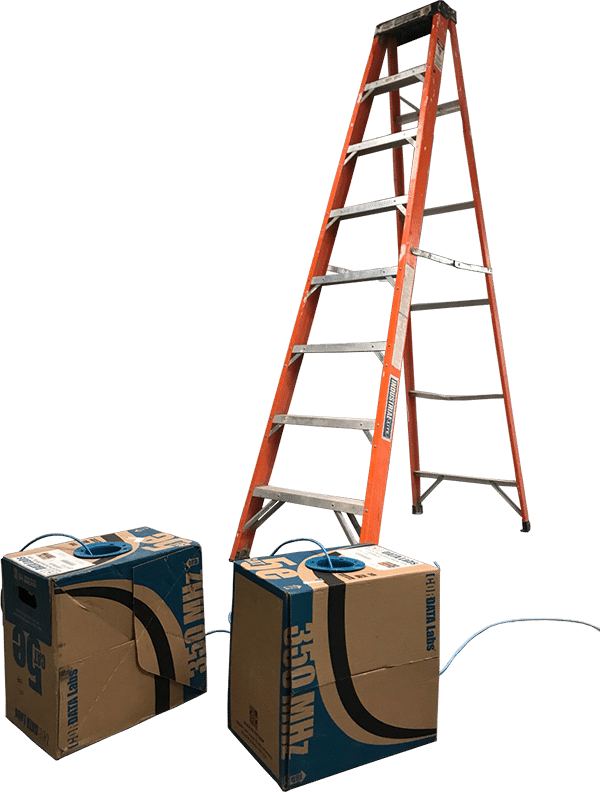 What makes one installation of Cat5e, Cat6, Cat6a or Cat7 different from another? 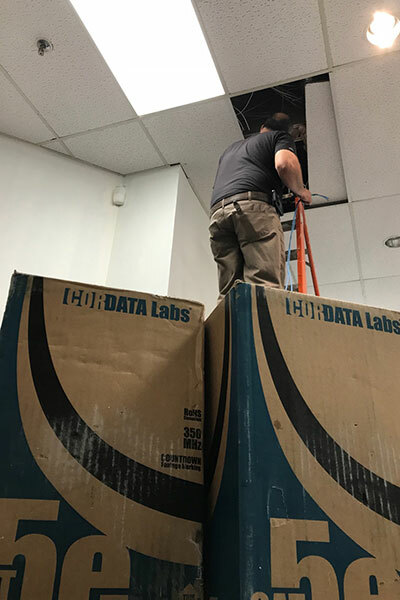 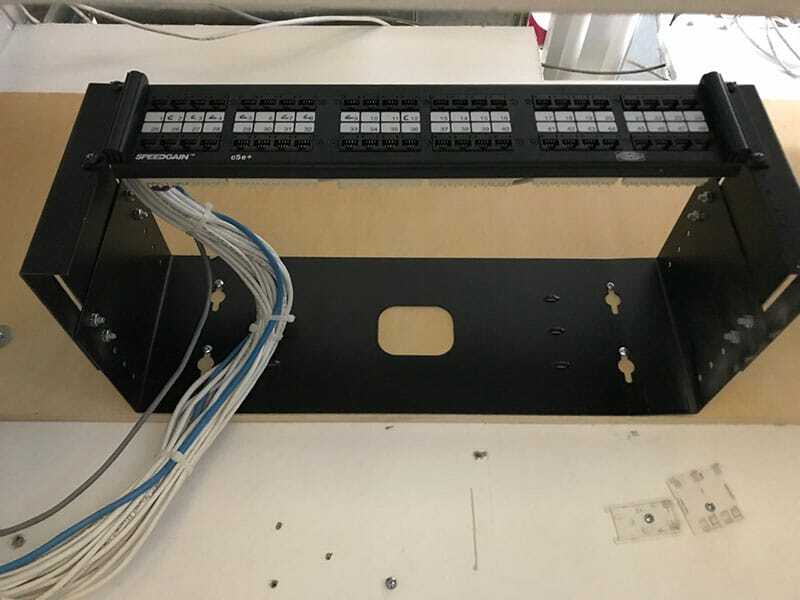 It has to do not only with the quality of and category or the wire, keystone jacks, wall plates and Patch Panel that you use, it also has to do with your cable installers themselves. 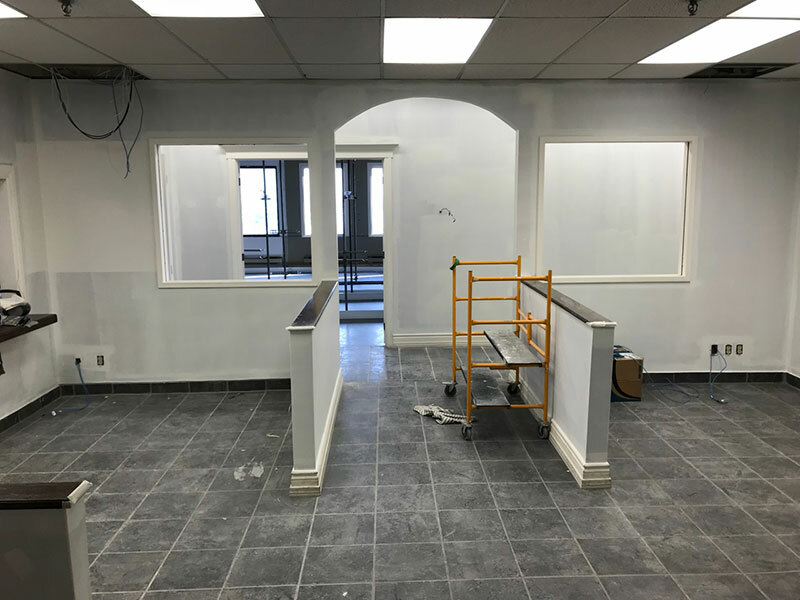 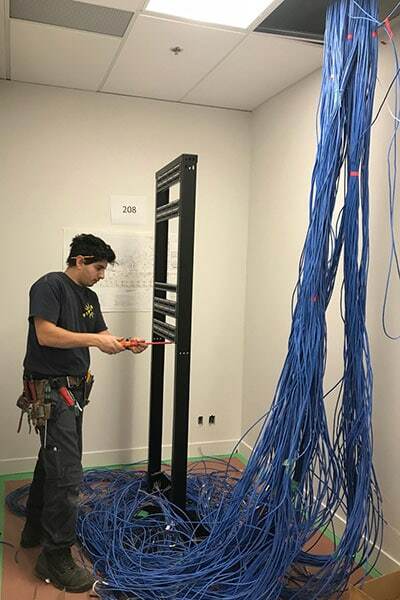 Montreal IT Support installers are experience licensed electricians that specialize in pulling wires all day long. 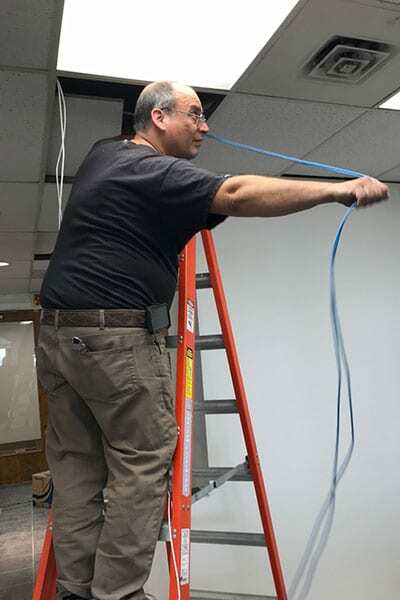 You can rest assured that if we need to pull some cables down your wall or through your ceiling it will be with the least damage possible. 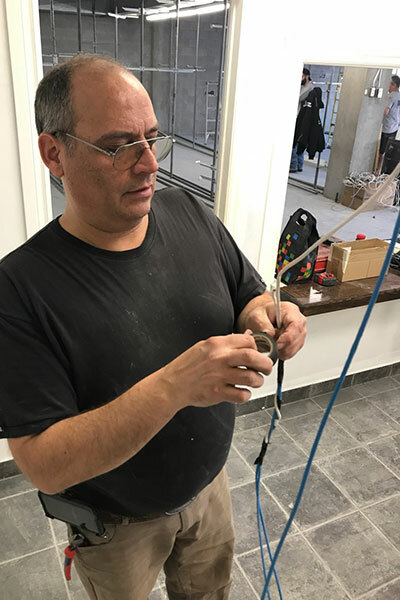 We believe in fishing cables through the studs or putting the appropriate conduit so that our wires function properly with the least amount of visual intrusion. 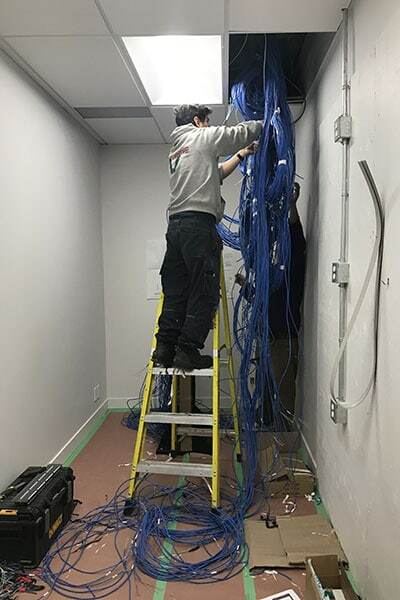 From single network drops to 400+ Ethernet cables drawn though the ceiling and to the individual termination points. 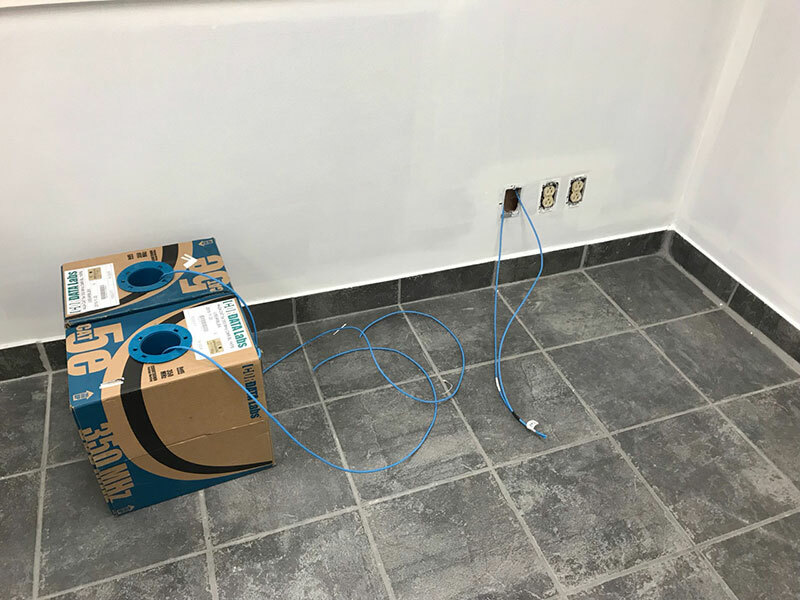 Our installers use logical colors for each type of data cable drop to identify their use, blue for network and white for data.